The U.S. Mint this week published 2010 America the Beautiful Quarters images in preparation for the first coin release in the series and in support of upcoming quarter products. The 2010 quarters kickoff the United States Mint America the Beautiful Quarters™ Program, which will feature 56 different reverse designs honoring sites throughout the U.S. and its territories until 2021. 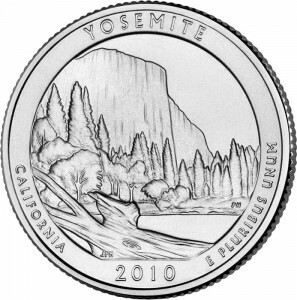 This year’s quarters honor four National Parks and one National Forest. 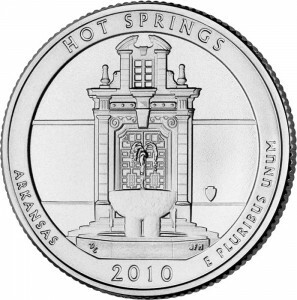 The first quarter celebrates Hot Springs National Park in Arkansas, and it will be released into circulation on Monday, April 19, with a special ceremonial launch held at the park by the Mint and National Park Service on Tuesday, April 20, 2010. 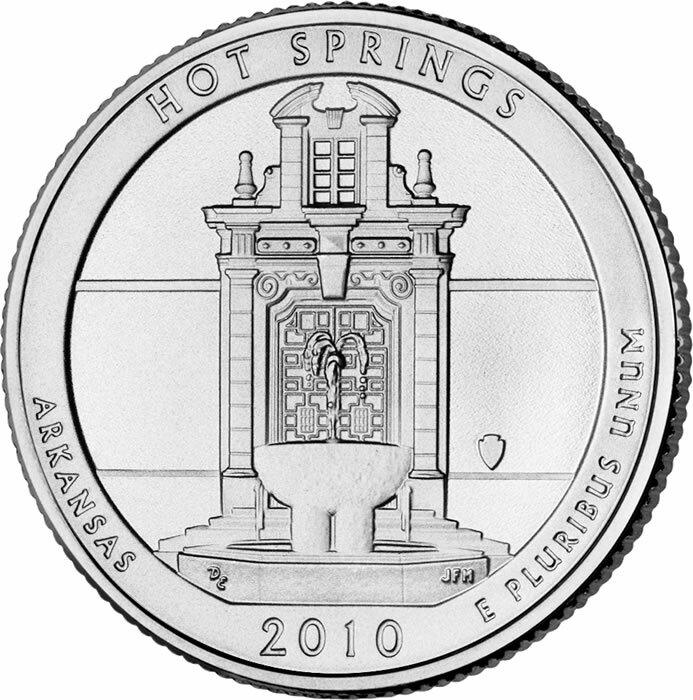 Designed by Don Everhart and sculpted by Joseph Menna, the quarter image features the Hot Springs National Park headquarters building with a fountain in the foreground. The issue date is April 19, 2010, with a ceremonial release on April 20. 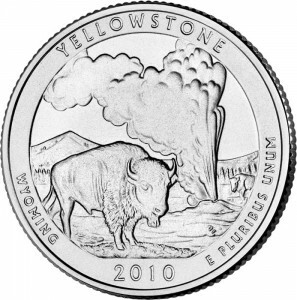 The quarter-dollar features the Old Faithful geyser with a mature bull bison in the foreground. It was designed and sculpted by Don Everhart. 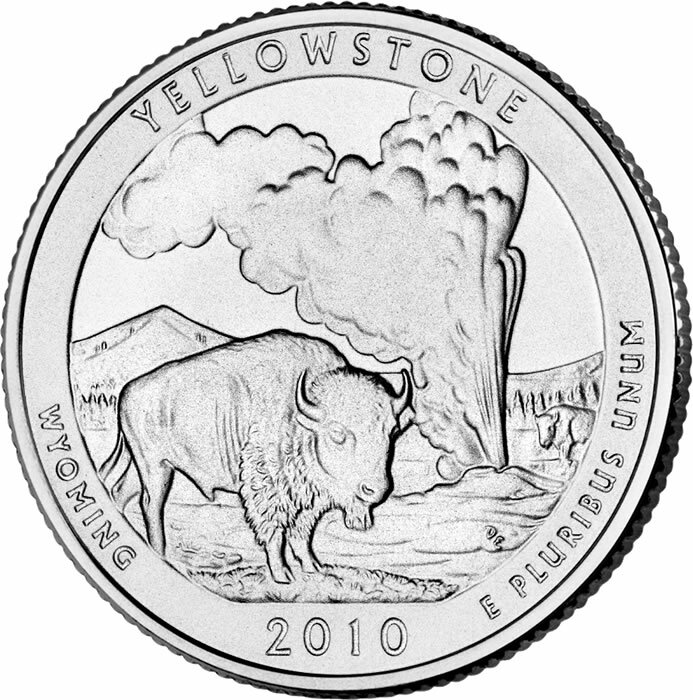 The coin will be released into circulation on June 1, 2010. 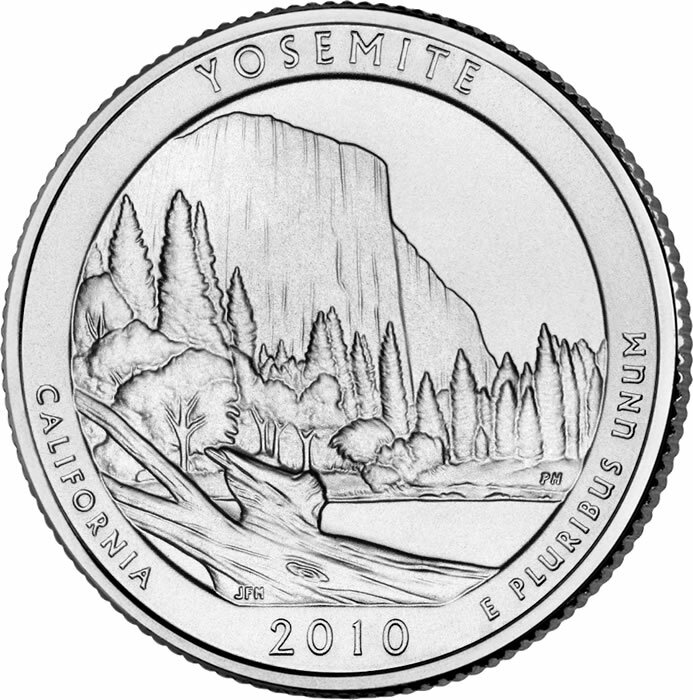 Designed by Joseph Menna and sculpted by Phebe Hemphill, the quarter image features El Capitan, which rises more than 3,000 feet above the valley floor and is the largest monolith of granite in the world. It will be released into circulation on July 26, 2010. 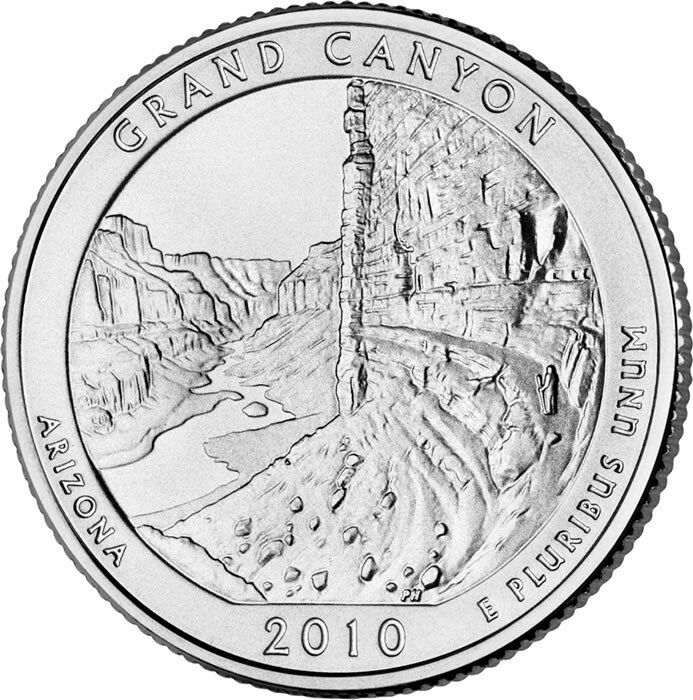 Designed and sculpted by Phebe Hemphill, the quarter image depicts the granaries above the Nankoweap Delta in Marble Canyon near the Colorado River. It will be issued on September 20, 2010. 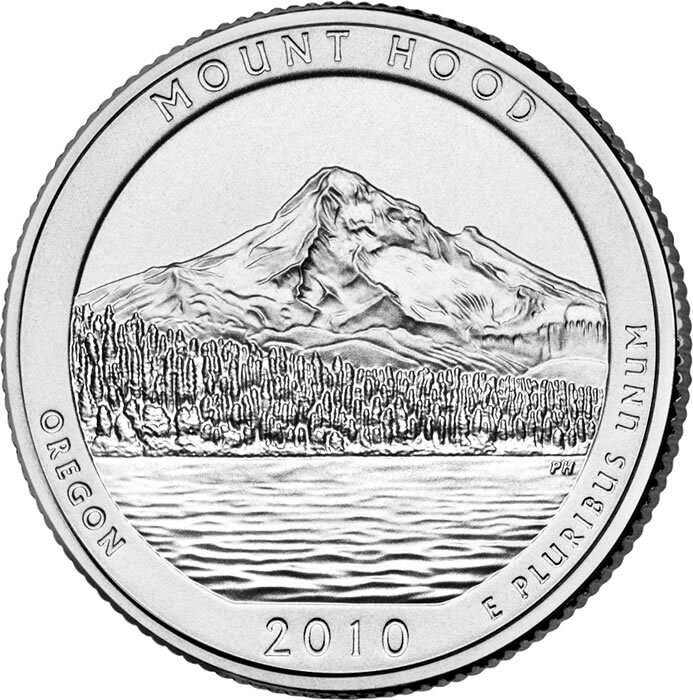 The quarter-dollar features a view of Mount Hood with Lost Lake in the foreground. It was designed and sculpted by Phebe Hemphill. Its issue date is November 15, 2010. 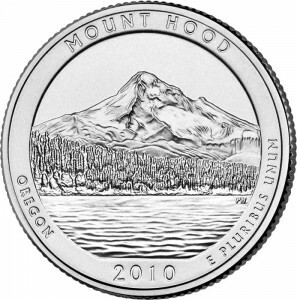 The new coins will enter circulation later and at closer intervals than typical since the law authorizing the series was passed in late 2008. The Mint had to go through the entire process of selecting the 56 sites, build the program, develop designs, and create marketing material all within a short time line. For the first five coins, the Mint created 19 candidate designs alone — all within a few short months. These proposals, in line art image form, were reviewed by various individuals and governmental bodies, namely the Commission of Fine Arts (CFA) and Citizens Coinage Advisory Committee (CCAC). 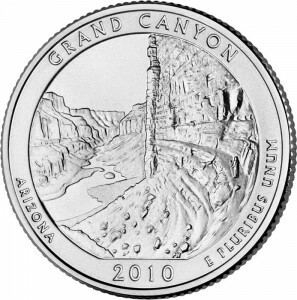 The final selected 2010 quarter designs were announced by the Mint just weeks ago, on March 24, 2010. The obverse or heads side of each coin bears a restored version of the historic George Washington portrait, which was first featured on the quarter-dollar in 1932.
is anyone else tired of all this new quarter stuff? I don’t think you would be tired of this if you were a collector. Yea really, if you actually COLLECTED the quarters, you would be waiting on the edge of your seat for the new ones to come out. (= Like me. So, think before you post, because, I don’t think anyone is tired of it, “the x”.